The Dolphins rank 30th in the NFL in total defense (391.7 YPG) entering the season finale against the Bills. The Dolphins enter their Week 16 matchup with the Jaguars tied for third in the NFL with 26 takeaways. The Dolphins surrendered 421 yards during Sunday's wild upset win over the Patriots. 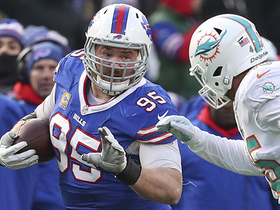 The Dolphins surrendered 415 yards of offense during last week's 21-17 win over the Bills. Analysis: Miami was out-gained 415-175 but still found a way to exit Sunday as victors. After 13 weeks, the Dolphins have proven to be a situational matchup play. Ranked 20th in the league in scoring defense (25.0 PPG) and 29th in total defense (399.4 YPG), Miami's weekly outlook largely depends on the opposition. This week, it's best to cover your eyes with the Patriots coming to town. 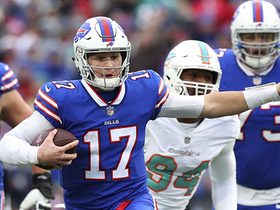 The Dolphins have dropped four of their last five contests heading into Sunday's game against the Bills. The Dolphins feature the 25th-ranked total defense (392.3 YPG) as they face the Colts in Week 12. The Dolphins enter their Week 10 with Green Bay as the league's 26th-ranked total defense (394.0 YPG). Dolphins cornerback Xavien Howard is nursing an ankle injury ahead of Sunday's game against the Jets. The Dolphins enter Week 8 ranked 27th in total defense (405.3 yards per game). The Dolphins has generated only 10 sacks this season, tied for 26th in the NFL. 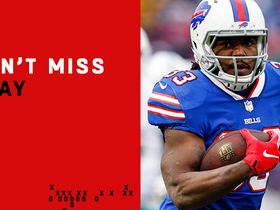 They'll take on the Lions in Week 7. The Dolphins enter their Week 6 game against the Bears ranked 22nd in total defense (382.6 yards per game). 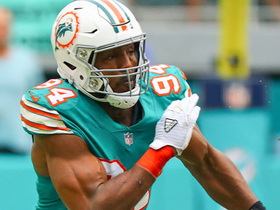 Dolphins linebacker Cameron Wake's (knee) status is in question for Sunday's game against the Bengals. Dolphins defensive end Cameron Wake (knee) is listed as questionable for Sunday's game against the Patriots. Dolphins safety Reshad Jones (shoulder) is deemed questionable ahead of Sunday's game against the Raiders. The Dolphins narrowly defeated the Titans 27-20 during Sunday's season opener. 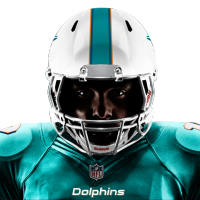 The Dolphins rank 28th in the NFL allowing 24.7 points per game. Defensive end Andre Branch is listed as questionable for Sunday's game against the Chiefs with a knee injury. Defensive linemen Jordan Phillips (ankle) and Andre Branch (knee) are both listed as questionable for Sunday's game against the Bills. Dolphins cornerback Cordrea Tankersley is dealing with an ankle injury ahead of Monday's game against New England. 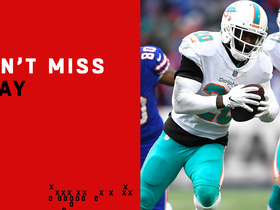 Analysis: Even if Tankersley suits up, the Dolphins pose great risk to your fantasy team in Week 14. 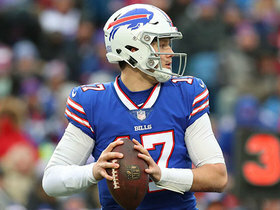 As long as New England still has something to play for (home-field advantage) Tom Brady and company should not be taken lightly. Since starting 2-2, the Pats have won 8 straight to draw even with the Steelers atop the AFC standings. Unless you're looking for a team to hold you back, avoid Miami this week. Safety Reshad Jones is listed as questionable for Sunday's game against the Broncos with a back injury. The Dolphins rank 26th in the NFL allowing 25.4 points per game. The Dolphins will start Sunday's game against the Buccaneers with a fully healthy starting defense. The Dolphins are headed to Carolina with a fully healthy starting defense. Dolphins defensive end Andre Branch (groin) is listed as questionable ahead of Sunday's game against the Raiders. 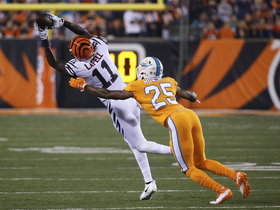 Listen as Miami Dolphins safety Reshad Jones and Cincinnati Bengals wide receiver Brandon LaFell are mic'd up in Week 4 of the 2016 NFL season. 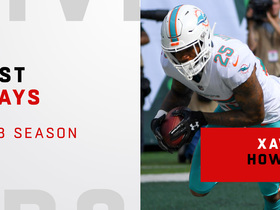 Watch the 2018 season highlights from Miami Dolphins cornerback Xavien Howard. 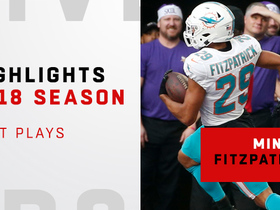 Watch the best plays from Miami Dolphins safety Minkah Fitzpatrick's rookie year in 2018.